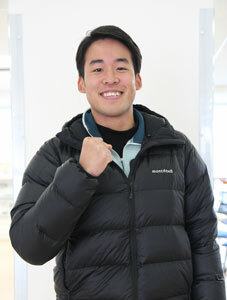 Mr. Mubu Honda, a 3rd year student in the School of Education, was selected as one of the delegates of the Institute for International Business Communication, that administers the Test of English for International Communication (TOEIC), to join the Four Continents Figure Skating Championships as a student volunteer staff. There were many candidates from all over Japan for the volunteer opportunity at the figure skating championships that will be held in Taiwan in January, 2018. After some selections including an English interview, six students won the opportunity. Mr. Honda will be supporting the figure skaters and staff members that gather for the championships from USA, Africa, Asia, and Oceania. “I think the best thing about English is that, even when you meet someone with a different mother tongue, you can still communicate with him/her in English,” said Mr. Honda.